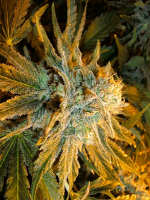 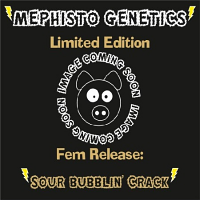 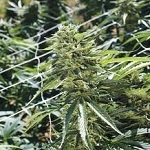 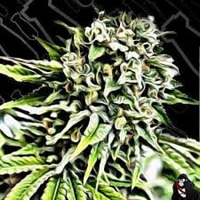 Think Fast Feminized Cannabis Seeds by Dutch Passion Seeds: Dutch Passion are proud to present the non-autoflowering version of the legendary Think Different. 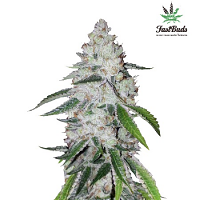 Think Fast® was created by crossing Think Different AutoFem with a specially selected cutting of the Dutch Passion classic Power Plant® in the search of new AutoFem genetics. 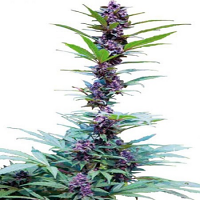 The first generation offspring, which is normally used for further breeding, was let flowering and gave surprisingly good results. 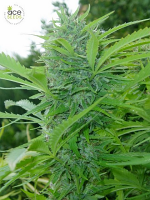 When crossing an autoflowering variety with a traditional photoperiod variety, none of this offspring will be autoflowering. 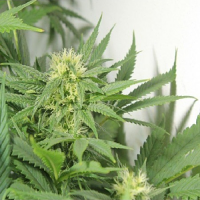 The Dutch Passion geneticists discovered that these non autoflowering plants, which carry the recessive autoflowering genes, are significantly faster than their photoperiod parents.